Summer, summer, summer! SUMMER! After what seems like forever, it is officially summer time and for me it starts this week. I finished placement last week, two months of planning, stress and long days all paid off because I passed with flying colours and could not be more proud of myself. 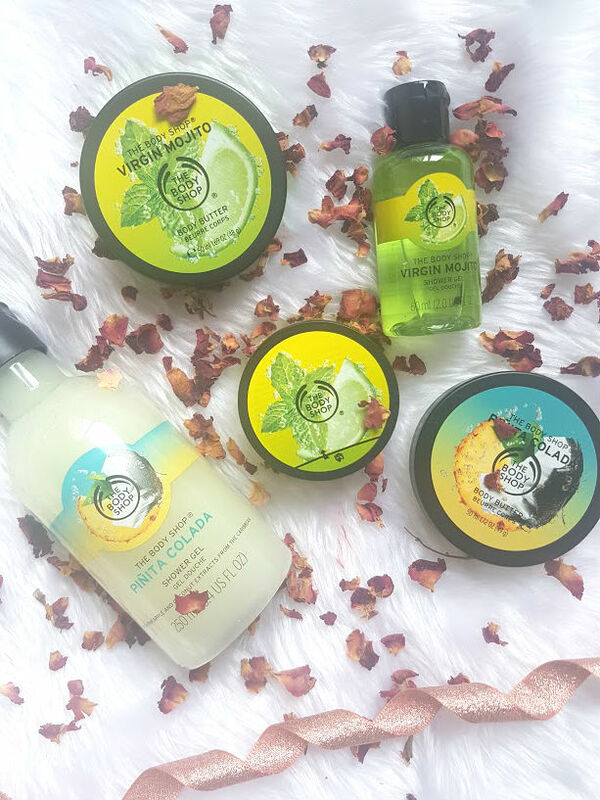 In that time, I have not been online very much, very sorry but I had no time but I am back and kicking it off with some gorgeous pieces from The Body Shop. The Virgin Mojito and Pinita Colada range both scream summer and make you smell amazing. Of the two summer ranges, the one I fell in love with straight away was the Virgin Mojito. In the treats set, which retails for £10. You recieve a mini shower gel, body scrub and body butter, the set is a great way to try out a strong scent such as this before you commint to buying the full size. I love a good old Mojito (virgin of course) in the summer whether its in a restaurant or by the pool. Its a refreshing drink and this range is exactly that. Its a refreshing scent that is inspired by the famouse cocktail to leave you smelling like summer. The scrub has been great to use on the skin to help with dry skin and following up with the body butter helps to lock in moisture and ensures the scent lingers. When I've been using this range, I haven't been applying any body sprays or perfume as I don't want anything to clash and make me smell awful as this scent alone is more than enough. I've spotted this scent in the sorbets that come out at this time of year and will definetley be picking that up! 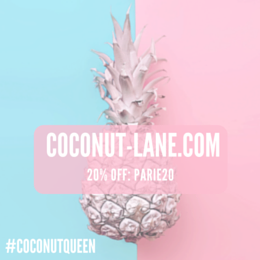 The other summer inspired scent is Pinita Colada, the name itself is so summery! TBS launched this range last year and it went down a storm but I didn't pick it up as I am not the biggest fan of coconut but to my surprise you can't really smell it. I know that sounds pointless but because of the pineapple scent, it balances it out and just smells sweet. I've kept the shower gel in the bathroom for any of my flat mates to help themselves and after each of have used it you can tell. It makes the whole room smell wonderful and so fresh - safe to say we've finally found a soap we all love! I'm torn between loving this scent body butter and the Virgin Mojito one as they both are incredible. I've resulted in keeping them both out and using whichever I fancy. As with all body butters from TBS this one provides hydration to the skin and leaves it nourished all day. TBS do some gorgeous products at this time of year and these sets are always good as you can travel with them too! *Can't quite believe that I am writing PR Samples for this post - eek!